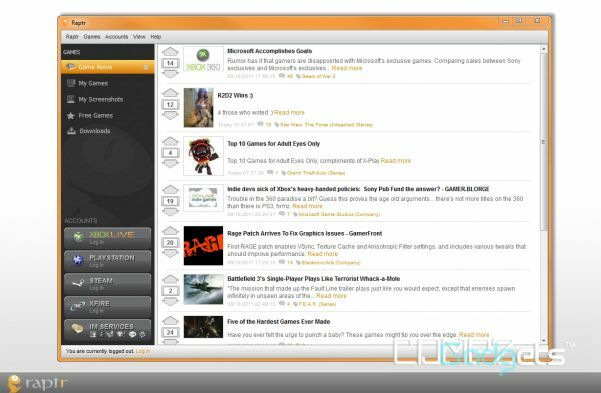 Raptr is a social utility for gaming made by people who love games. We allow you to connect with your gaming friends and see what the world is playing. And did we mention that Raptr is completely free? 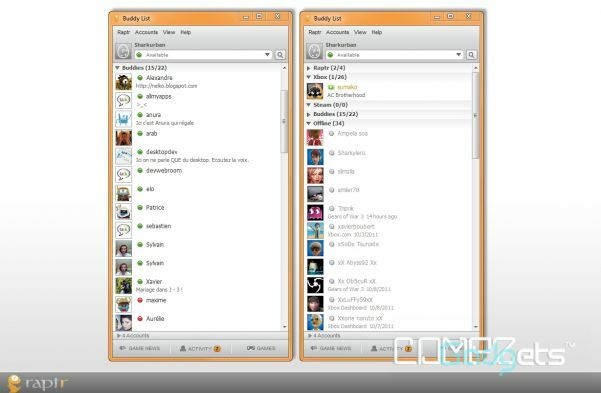 Raptr allows you to chat in-game with all of your friends from the top IM services (AIM, Yahoo, MSN, Facebook, Google Talk, Xfire, and ICQ) in one friends list. You can even chat with your friends on Xbox Live! With the Raptr client, you will no longer need to have multiple IM clients running to challenge or invite your friends to play a game with you. Know what your friends are playing, even if they're not on Raptr. 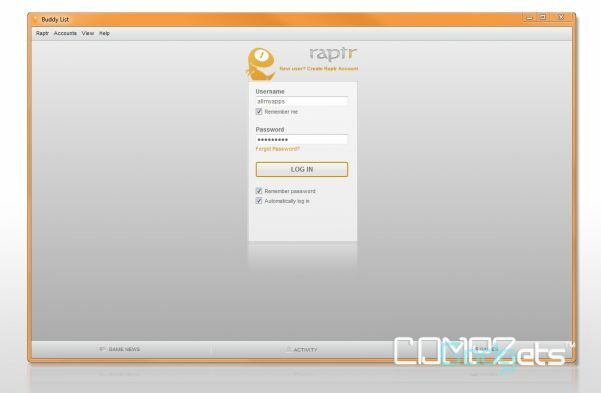 Raptr lets you add your Xbox Live, Playstation, and Steam accounts to see what your friends are playing all the time. See what your friends are playing and join them with a click. Raptr will even let you know the map, your ping, and the game mode before you jump in. Whether you play PC, Xbox 360, or Flash games, you can use Raptr to automatically share what you're playing and how well you're doing. You can broadcast your playing status to all of your friends on the top IM services as well as friends on Facebook, Twitter, and FriendFeed. 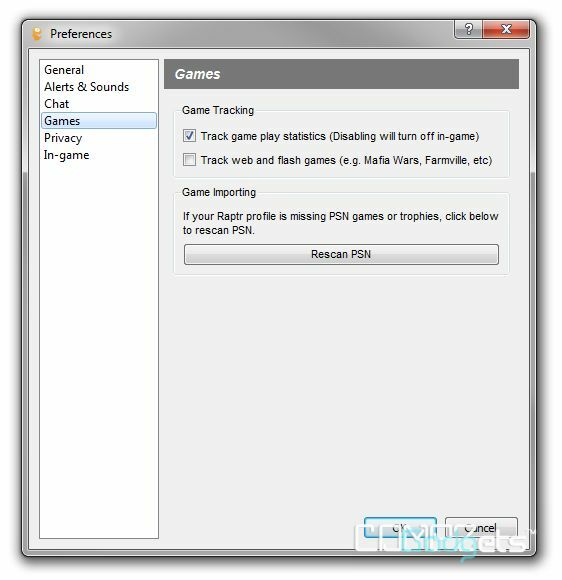 Automatically track your Xbox Live, Steam, and WoW achievements and compare them with your friends. Just give us your Gamertag or identity for these services and we'll do the rest! Share what you think about your favorite games with your friends and the world! You'll be able to see what the most popular games are out there based on what real people say about them. With so many games to play, it's sometimes difficult to see what everyone else is playing now. Raptr makes it easy for you discover new games by showing you all of the hot games that are being played all over the world right now. 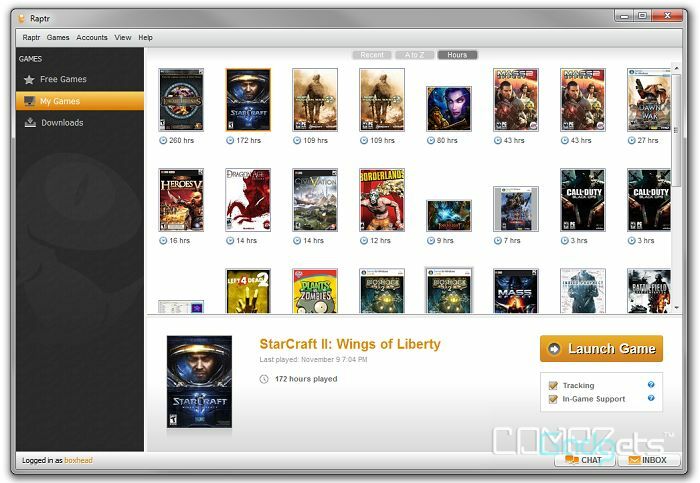 Raptr lets you know all the top free games. No more searching through the internet for the best free MMOs. You can even download them straight from Raptr!